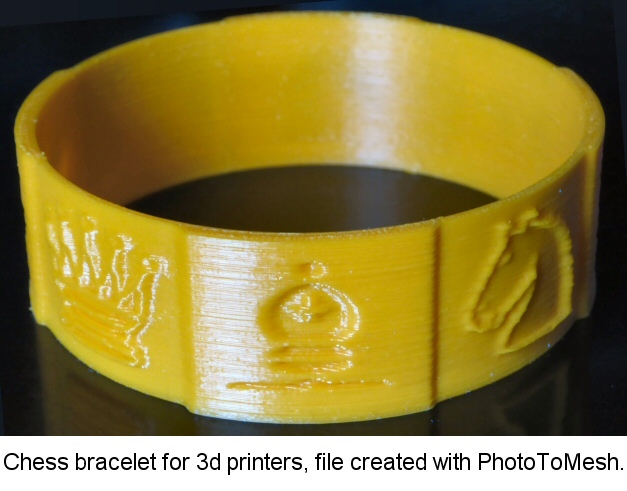 How to make a bracelet with bas-relief for 3D printing. The first thing to do is to get hold of the image you want to wrap around the outside of the bracelet, in the example above it was part of a chess board, but it could be anything you want. It is probably best if you choose a long thin image so that it does not get distorted to much. There are three steps to the wizard, but if you're happy with the image just click on next each time. For a detailed bas-relief you'll need to put the samples to about 700 and 500, as shown above, top left of the dialog.